I’m a writer and producer. Don’t search for me. Mike Marroni is a pseudonym (my author’s pen name). Disrupting the ‘Media Storyline’ is what I like to do. It’s time to write what I’ve been dying to say. I started using this pen name when a managing editor at a major market newspaper asked me to cover sports 30 years ago. I play sports. I don’t like watching them. And I didn’t want anyone to know I was covering sports. Ugh. I was focusing more on the science, technology, and medicine beat at the time. I was a serious journalist. Hah. He made me write sports. Mike Marroni… Sounds like a sports writer’s name, doesn’t it? Thank God that was a short time in my life. I’ve been writing and producing content and video for newspapers, magazines, TV, websites, publishers, companies, and non-profits for 30 years. I’ve been surfing for 40. – Environment – Real Green – not that fake Al Gore stuff. – Sports – OK, if there is an interesting twist, story, or cool technology involved. 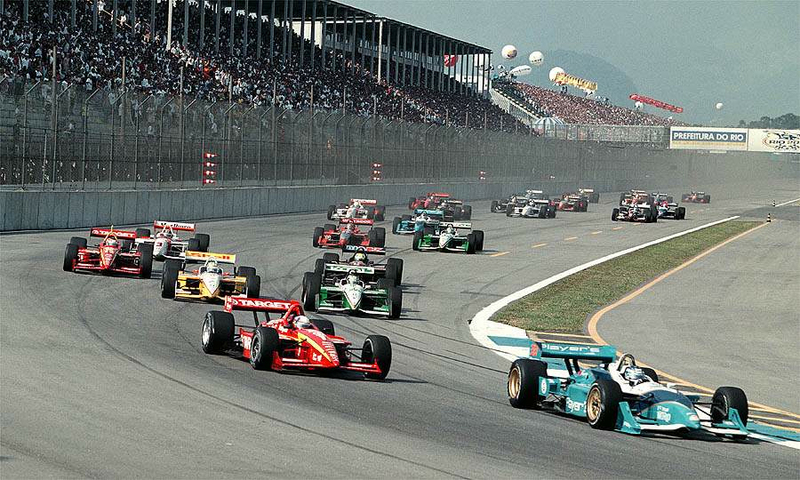 For example, I did a story on wireless two-way radio technology used in racecars at every level of the sport. I traveled to the Rio 400 Indy Car race. Yup, in Rio de Janerio – for a week. I was a fan of car racing growing up so it was a hoot. In the gravatar beach image on the upper left under my name, see that lifeguard tower with the small green roof in the dune-line just north of the parking area and Pavilion. That’s where I started writing for pay – with a manual typewriter. Girls used to come by my tower and look up at me typing away and think I was crazy. If they were good looking, I used to say something stupid like, “You want to step up in my office?” Not one ever did. Good for them. It was s dumb joke anyway. Going to J-School while working at the beach full-time, year-round, isn’t a bad gig. 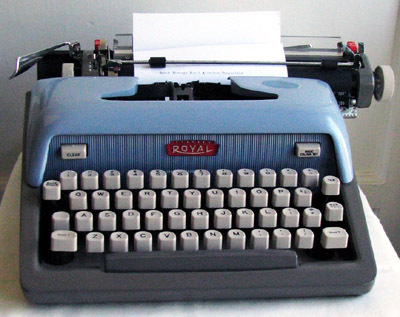 I still have that Royal typewriter. In fact, I got my first payday for writing a sales letter in that tower. A lovesick ocean lifeguard paid me a case of beer to write a love letter to a college spring breaker that went back to school. The goal, get her to come down to visit for the summer. It worked. I like to measure everything I produce. That’s what great commercial writers and producers do. It ain’t art – it’s math. My job is usually to persuade an audience to do something. Buy a product, go to a website, signup for service, think more about a brand, etc. You have to know if they did it to find out if the content you made and distributed was any good. Need to increase leads, traffic, your brand awareness, or sales? I’ve done it for IBM, Motorola, Bertram Yacht, Pulte Homes, Minto Communities, DiVosta Homes, Town Center Mall, and more. – Like most writers, I have a book in the works: historical fiction. Subject is a secret. Not bad for a guy that started out as a professional ocean lifeguard, huh?